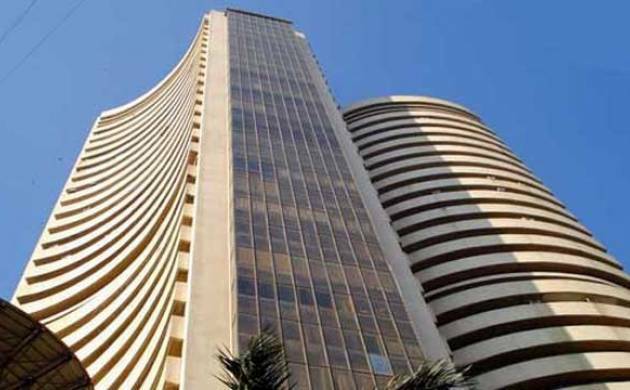 The Sensex retreated from a two-week high after falling 175.51 points to 25,597.02 as foreign funds cut down their exposure over fears that equity inflows would take a hit after India’s move to impose capital gains tax on investment through Mauritius. The Sensex retreated from a two-week high after falling 175.51 points to 25,597.02 as foreign funds cut down their exposure over fears that equity inflows would take a hit after India’s move to impose capital gains tax on investment through Mauritius. Retail participation, however, was positive with the BSE mid-cap rising 0.17 per cent and small cap index falling by a marginal 0.03 per cent. Dealers said caution in bluechips was also seen ahead of macroeconomic data IIP numbers for March and consumer price index (CPI) for April slated to be released tomorrow. The Sensex after opening down at 25,548.97 slided to a low of 25,409.24. However, value-buying in several bluechips helped trim losses and the index finally settled 175.51 points or 0.68 per cent lower at 25,597.02. The gauge had gained 544 points in the past two sessions. "The apprehension over tax on capital gains made through P-Notes (Mauritius) has negatively impacted the market. The short-term investments from FIIs may get hurt in the near-term," said Vinod Nair Head of Research at Geojit BNP Paribas Financial Services. Besides, a mixed trend in regional markets and Europe, which fell towards a one-month low on drop in crude oil prices, also hit trading sentiment here. India will begin imposing capital gains tax on investments routed through Mauritius from April next year under a revised tax treaty to curb tax evasion and round-tripping of funds— a move that may have a significant bearing on capital flows from the island nation. The 50-share Nifty also succumbed and after breaking below the crucial 7,800-mark in early trade hit a low of 7,780.90 before recovering partially to close 38.95 points or 0.49 per cent at 7,848.85. Among other Asian markets, Japan's Nikkei ended 0.08 per cent higher while China's Shanghai Composite ended 0.16 per cent higher. Hong Kong’s Hang Seng closed 0.93 per cent down. European shares slipped as some weak earnings pushed the market lower after two previous days of gains. Key indices, like France, Germany and the UK fell between 0.23 per cent and 1.03 per cent.